First of all, pineapples are a great way to promote health and healing. And in addition, try adding some fresh pineapple and pineapple juice to your diet. Pineapples are packed with nutrition and are members of the bromeliad family. Furthermore, pineapples are a tropical fruit high in the enzyme bromelain and vitamin C. And pineapple healing fruit benefits are many. Bromelain and vitamin C play a major role in the body’s healing process. Bromelain is a natural anti-inflammatory that has many health benefits. And bromelain encourages pineapple healing fruit benefits. 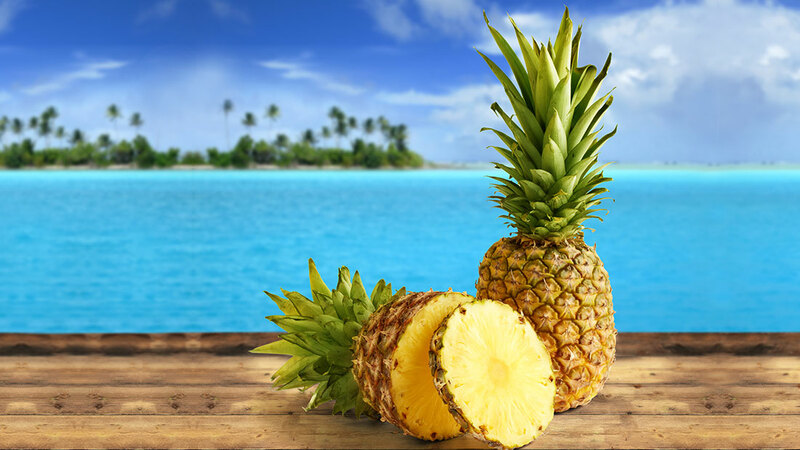 Bromelain is especially relevant in treating bruises, sprains and strains. The anti-inflammatory reduces swelling, tenderness and pain. Pineapples have a powerful anti-inflammatory effect. The pineapple healing fruit can relieve rheumatoid arthritis symptoms and reduce postoperative swelling. Additionally, the bromelain contained in the pineapple relieves indigestion. This enzyme therefore breaks down the amino acid bonds in proteins. And this promotes good digestion. Consequently, pineapples provide an ample supply of vitamin C. Vitamin C is an antioxidant that protects the body from free radical damage. And in addition, it boosts the immune system. And vitamin C helps build and repair bodily tissue and promotes wound healing. Your body uses vitamin C to help metabolize fats and cholesterol. It also absorbs iron, and synthesizes amino acids and collagen. Collagen is especially relevant in helping skin, cartilage and bones. Vitamin C is also responsible for decreasing the severity of colds and infections. Furthermore, the high vitamin C content in pineapples is good for your oral health as well. Vitamin C pineapple healing fruit benefits can reduce your risk of gingivitis and periodontal disease. The pineapple healing fruit increases the ability of connective tissue to repair itself. Vitamin C increases the body’s ability to fight invading bacteria. And toxins that contribute to gum disease. Periodontal disease destroys gum tissue and underlying jaw bones. The pineapple can help control heart disease, stroke and type 2-diabetes. The healing fruit benefits are many. Therefore, pineapples are a natural way to enhance your body’s healing mechanisms. 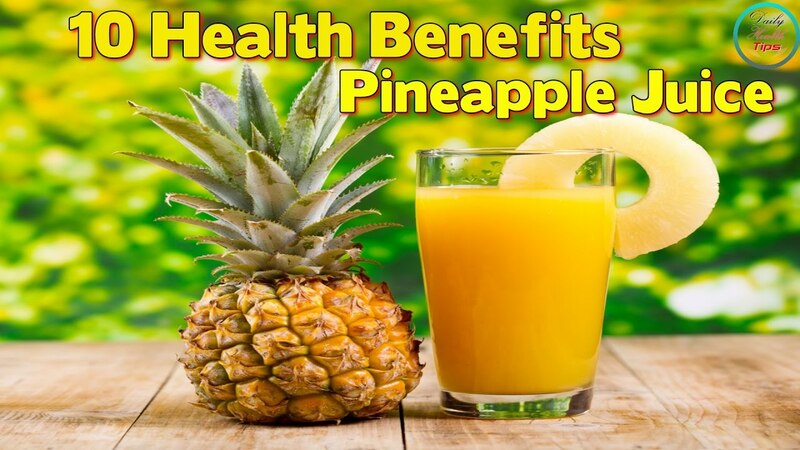 The pineapple tastes good and promotes good health. The fresh pineapple healing fruit has the most healing properties. Canned pineapples are low in bromelain due to the heat used in the canning process. When choosing fresh pineapples, do not judge ripeness by the color. The healing fruit comes in several varieties. The pineapple healing fruit ranges from green to golden-yellow. You have to smell the pineapple to determine ripeness which is most noteworthy. And in addition the ripe pineapple healing fruit gives off a sweet, fresh tropical smell. Avoid pineapples that have an unpleasant odor. Hence, the pineapple with soft spots or areas of dark discoloration must be avoided. Do not refrigerate the pineapple. Let the pineapple sit on your counter at room temperature until you’re ready to cut it open. This will preserve the pineapple and its sweet and tangy flavor. First of all, preparing the pineapple healing fruit is easy. You need to peel it, remove the eyes and the fibrous center. First, you have to cut off the top and bottom of the pineapple. Then place the pineapple healing fruit upright on a cutting board. Slice off the outer skin of the fruit. Furthermore, make sure you have a sharp paring knife and remove the eyes. And cut the fruit deep enough to lift out the eye area. Then, remove the fibrous core from the pineapple healing fruit. Now, cut the pineapple lengthwise into 4 quarters. Cut around the center core. Another method is to slice the pineapple crosswise and remove the cores individually. Finally, prepare the fruit and reap the healing fruit benefits. Add the pineapple healing fruit to salads and entries. And in addition, you can make tasty tropical drinks. In conclusion, pineapple healing fruit benefits are great!